Why Can't You Digest Raw Vegetables? The U.S. Department of Agriculture recommends eating 2 to 3 cups of vegetables a day, but it's your choice whether you eat them raw or cooked. Eating raw vegetables means that heat-sensitive and water-soluble nutrients are not lost, as they would be during cooking. The dietary fiber content in raw vegetables, however, can be hard to digest, leading to symptoms such as stomach pain and gas. Cooking makes the fiber in vegetables easier to digest. 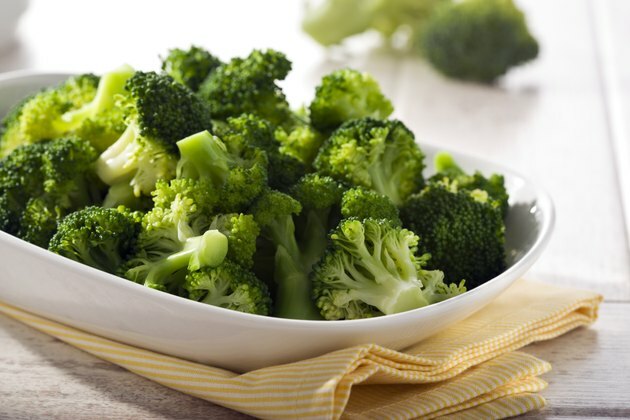 The insoluble fiber in vegetables is known as cellulose, which gives vegetables their shape. Raw vegetables are especially high in insoluble fiber, as this fiber type is found in the cell walls of plants. The fiber provides bulk to your diet, helping food pass through your digestive system more quickly, and is not broken down by your body. Vegetables, whole grain and beans contain high quantities of insoluble fiber. Consumption of insoluble fiber reduces the risk of some digestive disorders, such as constipation. It can also cause diarrhea and gas, however. Vegetables are naturally high in soluble fiber, which is stored inside the cells of the plant. Soluble fiber is more easily tolerated by your digestive system, and it slows down the absorption of carbohydrates, keeping your blood sugar levels more stable. Soluble fiber helps regulate stool passage through the digestive tract, and as it retains water, it makes the stools softer and bulkier. Soluble fiber is also useful for treating diarrhea as it absorbs the extra fluid. In plants, the soluble fibers are pectin and gum, which can be found inside the plant cells. Soluble fiber also helps lower blood sugar levels as well as cholesterol. If you find raw vegetables difficult to digest, this is likely due to the insoluble fiber content, which your body has trouble breaking down. Even a little cooking time can help soften the fiber content in vegetables, making it easier for your system to process it. The recommended daily intake of dietary fiber is between 25 and 38 grams per day, although most Americans do not meet this requirement. To avoid trouble digesting raw vegetables, consider starting with lightly steamed vegetables to get your system used to the extra fiber. Suddenly increasing the amount of raw vegetables you consume can cause digestive trouble -- such as gas and constipation -- because your body is not used to so much extra fiber. To avoid digestive trouble, gradually increase the amount of raw vegetables you eat each day to avoid gas and constipation from the sudden increase of fiber.